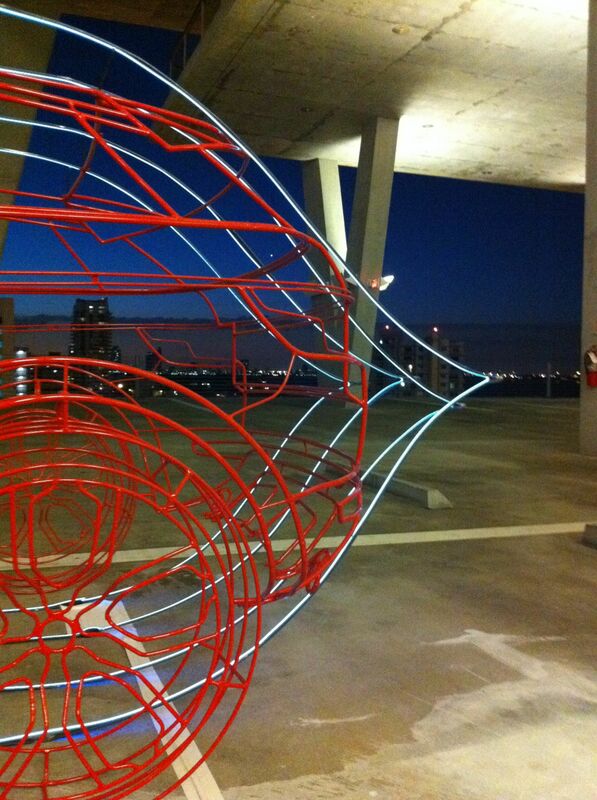 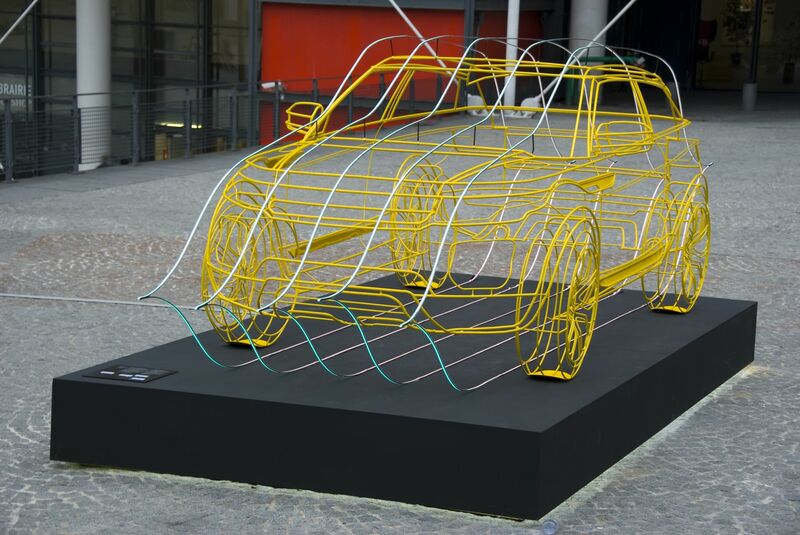 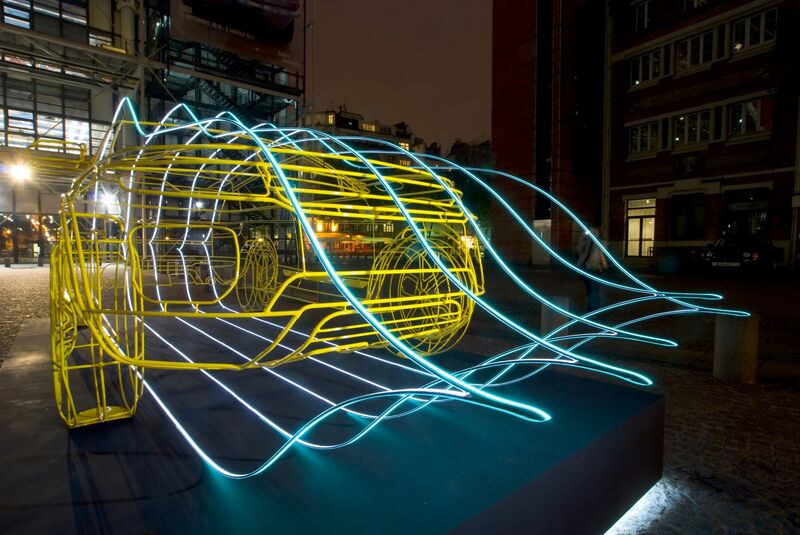 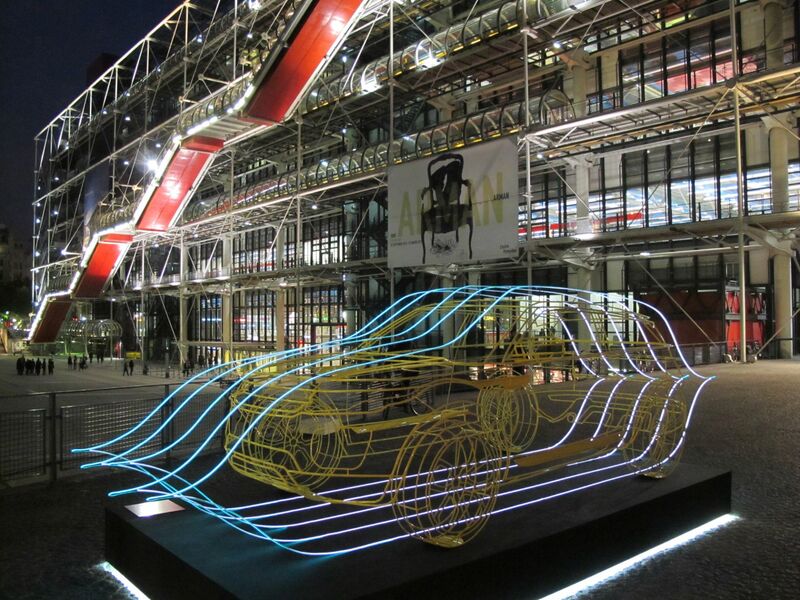 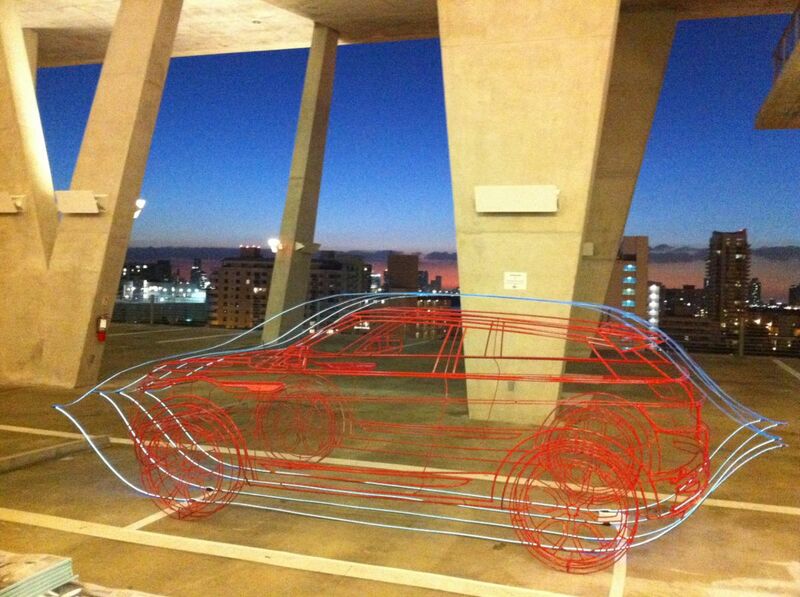 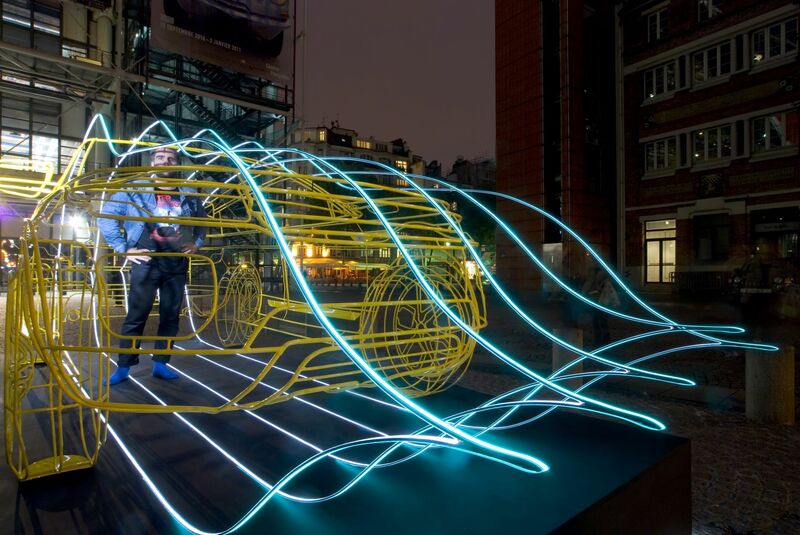 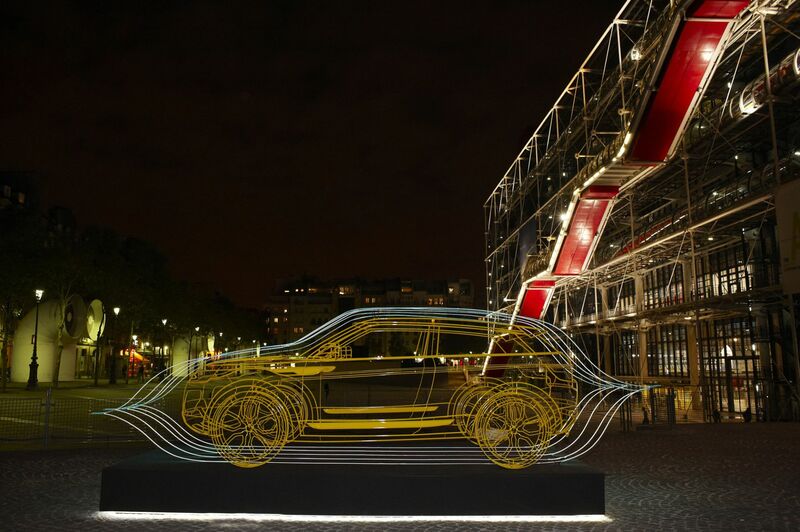 For the launch of the Range Rover Evoque in Paris, 4 creators were asked to work around a steel wireframe. 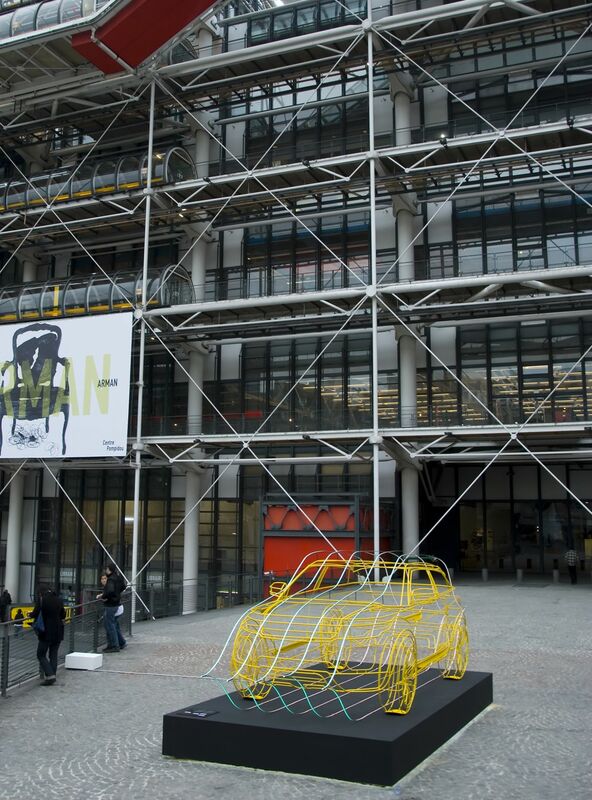 André, JCDC, and Jeremie Rozan were each assigned a central venue, and Yorgo was lucky enough to be located in front of Beaubourg. 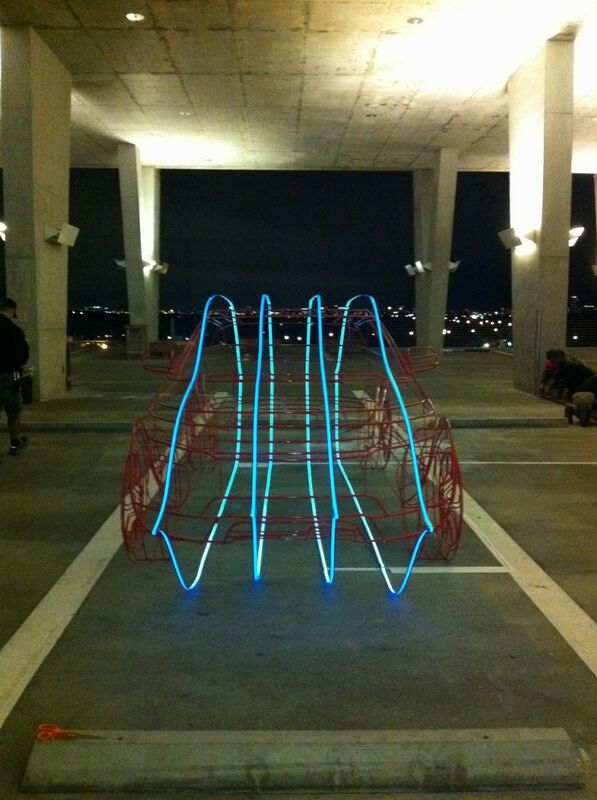 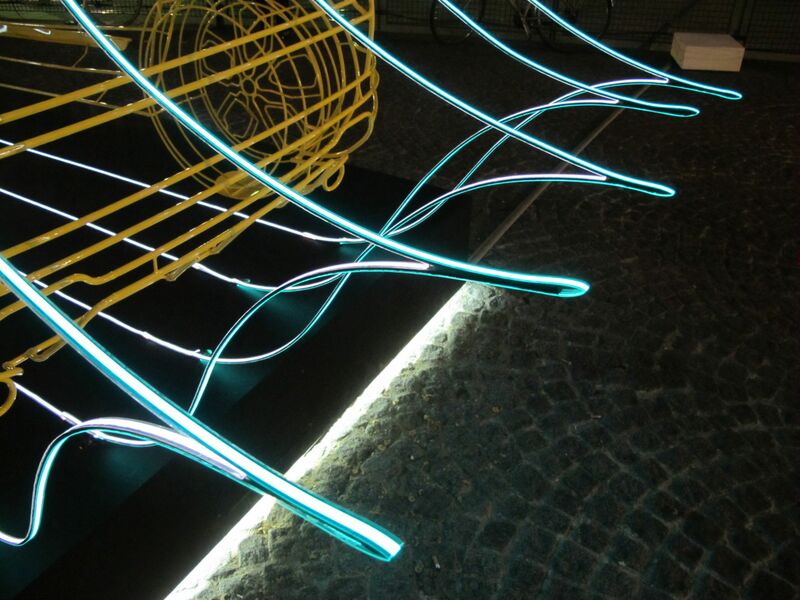 His electro-luminescent installation was re-created a few months later for Art Basel Miami Beach, in another landmark building, 1111 Lincoln road.